In round five of an ongoing patent and trademark battle between Apple and its competitors, Samsung asked a federal judge Friday to make Apple provide the electronics giant with the next generation iPhone and iPad. Samsung asked Judge Lucy Koh for “a sample of the final, commercial version of the next generation iPhone that Apple will release, whether that product will be known as the iPhone 4S, iPhone 5, or some other name,” according to a motion filed in a California federal court. If Koh approves Samsung’s demand, Apple will have until June 17 to hand over the next iPhone and iPad. Samsung and Apple have been locked in a legal battle since April. Steve Jobs & Co. intially accused Samsung of “slavishly” copying the iPhone and iPad with several of its smartphones and the Galaxy Tab tablet. 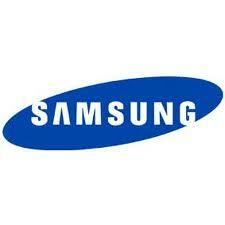 Samsung, according to Apple, infringed ten Apple patents and violated two trademarks.